Ensure end-user satisfaction in your digital and DevOps transformation. The results from the tenth anniversary edition of the World Quality Report are conclusive: 99% of respondents are now using DevOps practices in their organizations. Their focus is no longer on whether to move to DevOps; rather how to refine their DevOps approach and continuously improve. Customer experience is front and center - Participants in the WQR reported that ‘Ensure user satisfaction’ is at the top of their QA and testing strategy. This would have been unthinkable ten years ago. But with customer-centered innovation driving digital transformations and the adoption of agile, DevOps, and a move to the Cloud, it is also resetting the expectations for testing. Emerging tech is having a significant impact - The report notes an increasing adoption of Artificial Intelligence (AI) and Machine Learning (ML) to help testers test more effectively. At the same time though, the testing of AI and ML implementations is a developing area, and there is no widely accepted approach. 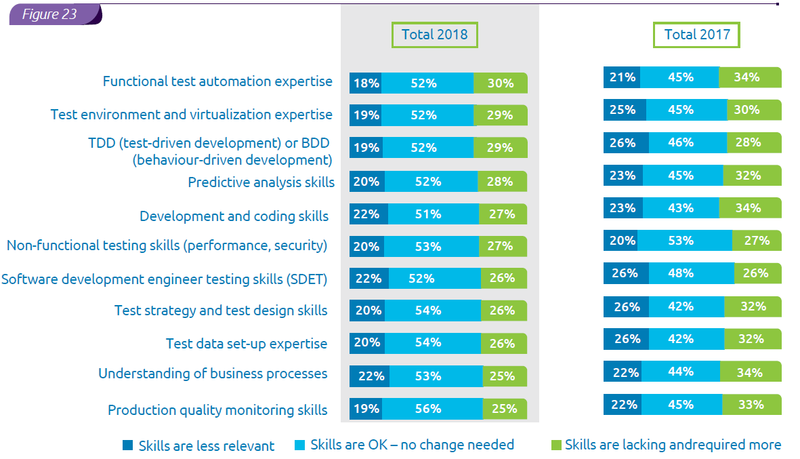 The testing skillset is radically changing – Adoption of agile and DevOps, as well as technologies such as AI, Internet of Things (IoT) and blockchain, all require specific technical expertise, and teams must be prepared to acquire these new skills, whether by training their existing team members, or hiring specialists into the team. Sponsored by Micro Focus, Capgemini and Sogeti, the World Quality Report 2018-19 surveyed 1700 CIOs and other senior technology professionals, from across ten different sectors and 32 countries. Download the report today to understand how your QA strategies compare to the report, and start thinking about how you can start to adopt the key recommendations in your organization. 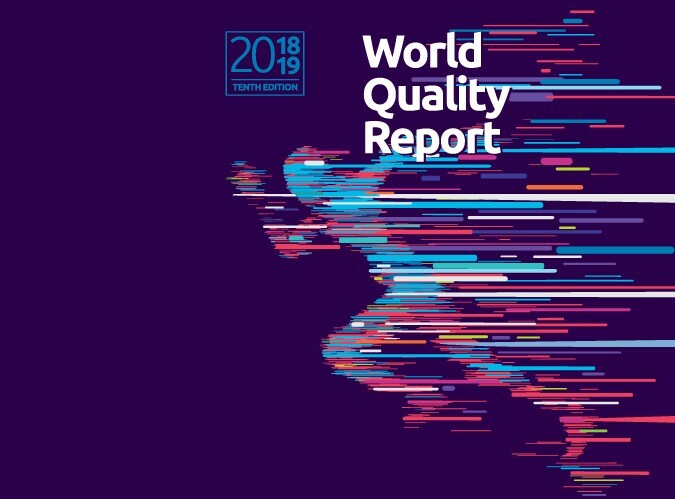 Sponsored by Micro Focus, Capgemini and Sogeti, the World Quality Report is the only global report analyzing application quality and testing trends across multiple industries in 32 countries.